Businesses need to plan for unforeseen events that can disrupt productivity, impair the customer experience, and possibly even threaten a business’s existence. A disruption every business needs to plan for is any event that destroys valuable data, inhibits access to data, or causes downtime of core applications. Consider the staggering amount of information your company stores electronically. What if an unforeseen event destroyed all financial records, client contacts, and application data? You wouldn’t be able to send customers accurate invoices. Your marketing efforts might be undermined. You would lack key metrics for measuring quality, profitability, and more. The losses could be staggering. In every aspect of life, it’s smart to plan for unexpected events. 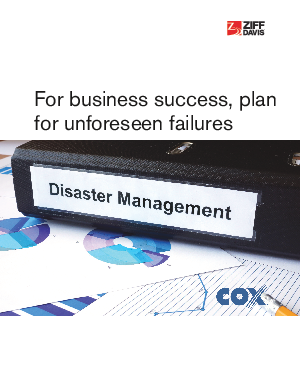 That’s especially true for two plans every business must have: a disaster recovery plan and a business continuity plan.